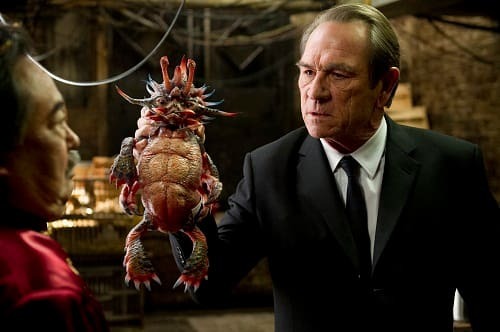 Tommy Lee Jones is without a doubt one of the more esteemed actors of our time. But, the Oscar winner also knows how to play his persona for laughs as he does in the Men in Black films. 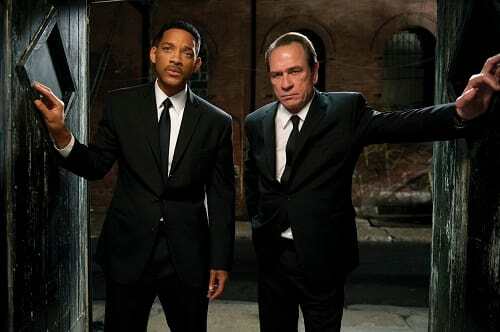 Jones is back as Agent K in Men in Black 3 and spoke with Movie Fanatic about re-teaming with Will Smith and director Barry Sonnenfeld as well as giving us some insight into his role in Steven Spielberg’s upcoming epic Lincoln. And it was a little odd for the Oscar winner to have to share a role with someone else in the same movie. “Yeah, it's weird. I've never done that. It's never happened to me before,” Jones added. It is clear that Jones has an affinity for Sonnenfeld and their work together on the Men in Black series. In fact, he finds him quite funny. “Barry is silly as a goose for starters,” Jones said and laughed. The man is no stranger to directing, having taken the director’s chair once for The Three Burials of Melquiades Estrada. Having had so many stellar helmers in his career, choosing ones who influence him was rather difficult as he didn’t want to alienate any of the artists he’s worked with prior.